Jonathan Bertrand attended Maynard Evans High School and graduated with the class of 2014. Being raised in a Middle/Upper class family, he was raised with high standards and morals. While attending high school Jonathan was bullied because he dressed for success which wasn’t well received amongst his peers. Jonathan slipped into depression and became an introvert. After graduation he realized his calling was to help others in similar situations. In December 2012 he ran an anti-bullying campaign ... Más informaciones with Lexton Cage of Orlando, FL. Jonathan received Congressional recognition for his outstanding and valuable service to his community on December 11th of that same month. In November of 2014 “The Social Networking Effect” What’s Your Story?” movement was created. This movement is to generate awareness of the side effects social media plays in people’s lives. In December 2015 The Global Touch Foundation was formed. The foundation is a non–profit organization designed to promote 5 areas of study, EDUCATION, RESEARCH, MENTAL HEALTH, PHYSICAL HEALTH AND POLICY. 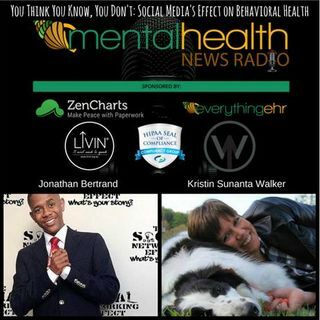 Pioneering Social Media Awareness Via his Foundation , The Global Touch Foundation Inc.
Jonathan was a panelist speaker at The National Council for Behavioral Health's annual conference.